I love binge watching. In our home we choose not to have cablevision, so if Maurice and I decide to follow a series we have to watch it on Netflix. If we find we like a show we begin binge watching. For those of you who have not heard of binge watching, it is viewing multiple episodes of a television show, either in one sitting or over a short period of time. How long the binge lasts depends on how long the series has run. Over the years I’ve binge watched Eureka, Queer as Folk, Lost, The Walking Dead, Will & Grace, Better off Ted, Chuck, Battlestar Gallactica and Fringe. There’s probably a few more that I have forgotten. Why have people around the world begun binge watching? Well, because they can. 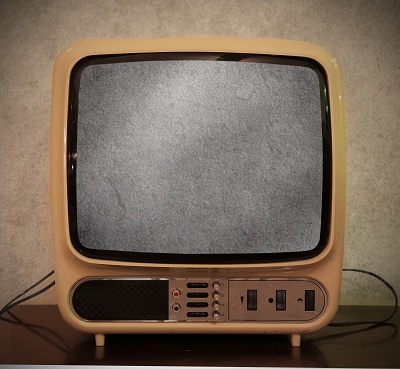 In the past, the only way to watch older episodes of a television series was to wait until they showed up on reruns. In the afternoons, kids would watch reruns of Gilligan’s Island and The Brady Bunch. Around dinner time, adults would watch reruns of Dragnet or Bonanza. That’s all that was offered and we enjoyed them. However, in today’s fast paced, instant gratification society, an episode a day just won’t do. With the advent of shows sold in box sets, and online viewing via Netflix, Hulu or Amazon, people can watch an entire series in just a few weeks or even days. Now, a study conducted by the University of Texas at Austin shows what may appear to be harmless, may not be okay after all. Researchers Yoon Hi Sung, Eun Yeon Kang and Wei-Na Lee conducted a survey on 316 18- to 29-year-olds on how often they watched TV; how often they had feelings of loneliness, depression and self-regulation deficiency; and finally on how often they binge watched TV. They found that the more lonely and depressed the study participants were, the more likely they were to binge watch TV, using this activity to move away from negative feelings. The findings also showed that those who lacked the ability to control themselves were more likely to binge watch. These viewers were unable to stop clicking “Next” even when they were aware that they had other tasks to complete. Even though some people argue that binge-watching is a harmless addiction, findings from our study suggest that binge watching should no longer be viewed this way. Physical fatigue and problems such as obesity and other health problems are related to binge watching and they are a cause for concern. When binge watching becomes rampant, viewers may start to neglect their work and their relationships with others. Even though people know they should not, they have difficulty resisting the desire to watch episodes continuously. Our research is a step toward exploring binge watching as an important media and social phenomenon. As for me, I think binge watching makes me more likely to isolate and it most definitely affects other aspects of my life. Things just don’t seem to get done once I latch onto a series and continue the ride until I reach the end. Should I change my behavior? Probably. Will I change my behavior? I already have. By focusing on writing more, I’ve greatly reduced the amount of television I watch. However, I think I’m far away from ending my binge watching all together. After all, I just learned today that one of my all-time favorite shows, St. Elsewhere, is now available on Hulu. Unfortunately…or maybe fortunately, they are currently offering only the first season. Do you binge watch? If so, I’m curious what series’ you have watched and would you recommend them. Nothing makes me happier than to love a show so much that I could watch multiple episodes at a time. I’ve done it with: Friends. Brothers and Sisters. Breaking Bad. Coach. Okay, there have been more! I go long periods in between because I get depressed when I’ve watched them all. Life becomes empty. Lol. Luckily shows like Friends I could see more than once! Coach went downhill when they moved the show to Floriday, but up til then it was hilarious. I binge watched for the first time this past weekend. We watched State of Affairs series. Its pretty good. Its not something I would do all of the time as it did make me feel a bit depressed to be in front of the TV for that many hours in one day. Yeah, it can get depressing when you realize your entire day, or week, has vanished. Plus, I think the isolation is probably the biggest negative. i watch whatever sounds interesting. i watch old shows like Rockford Files, I watch new shows like Once Upon a Time, I watch documentaries of topic like Prohibition or Elder care situations, I watch new movies I haven’t seen and old movies I have seen. What I watch depends on time of day, interest, and time available. Mostly I like new (to me) detective/mystery series like Broadchurch, Hinterland, etc. Luther was an awesome series. He is a detective using some not so legal means to do the job, with a history of violence and anger and being in the psych ward. the ending was unexpected. I don’t think I binge-watch because the great thing about Netflix is I can pause it at any time and come back right where I left off. So, I don’t mind stopping to make dinner, or clean, or even do some errands, because I know I can come right back to it. I felt more tethered to the tv when I had cable, because if I wanted to see something, I had to stay in front of the tv. I couldn’t stop and do something without missing something, so I just kept putting things off, like cooking dinner, until a there was nothing on that I liked. I am so happy using Netflix instead, I would never go back to cable. I binged watched “100” on Netflix and “House of Cards” with Kevin Spacey also on Netflix. Oh and ‘Luther”! I’ve heard a lot of good things about House Of Cards and I’m a Kevin Spacey fan, but I’ve never heard of 100 or Luther. How are they?